Macy’s in-house influencer team is showing signs of progress. Since launching a pilot version of Macy’s Style Crew last fall with 20 employee “ambassadors,” Macy’s has invested in growing the program. More than 300 employees participated this past spring, and there are now more than 400 active employees across social media channels, including Snapchat and Instagram. In 2019, Macy’s is planning for a “much bigger” roll-out because the company has “gotten so much engagement,” a spokesperson said, declining to specify exact figures. Though Style Crew from the get-go has focused mostly on apparel and beauty, it’s aiming to expand its reach down the line to emphasize all of the product lines the retailer sells. A senior Macy’s executive who requested anonymity said the focus on internal influencers comes as the company’s management has become skeptical toward their external counterparts. The backlash against influencers — accused of faking follower counts and fudging engagement — crystallized at the Cannes Lions festival in June. There, Unilever CMO Keith Weed said the company would no longer work with influencers who buy followers. And Unilever brands would work to police influencers with bots or fake followers, he said. Unlike outside influencers, who are typically paid per post, Macy’s has little upfront capital at stake for its Style Crew. Its employee influencers, who range from cashiers to executives, are paid an unspecified percentage of each sale they drive. Any Macy’s employee can apply for the program. When accepted, they’re given access to virtually all of the department store’s products for free to promote online. Using #macysstylecrew and a slew of other hashtags, the employee drives sales through a unique link at the top of his or her Instagram page. Tommy Hilfiger dresses in exotic locales, or Nike workout gear on a tennis court, serve as the “organic” ad. 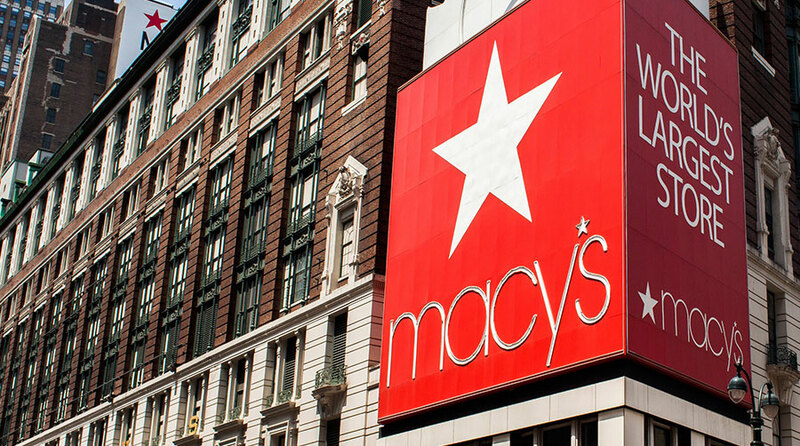 Macy’s spent about $415 million in measured media in the U.S. last year per, Kantar Media. The executive said total expenditure on outside influencers has fallen, favoring other forms of digital and physical advertising that are simpler to quantify. But the company is far from eradicating outside influencers. Recent placements on its Instagram include a dress modeled by Jane Belfry, founder of women’s empowerment brand The Thicc, and a denim jacket worn by independent influencer Morgan Bethel-Sosinski. Bethel-Sosinki has more than 30,000 followers. The average Macy’s Style Crew participant has fewer than 10,000, otherwise known as a “micro-influencer.” But what micro-influencers lack in reach, they often make up for in loyalty, research suggests, with friends and family paying closer attention to their posts.